Fiji is a place to step back in time - not into a time of no mod cons because they're all there, but a time of no pressure... a place that hands you the time to relax, re-assess and reconnect with the things that really matter in life. 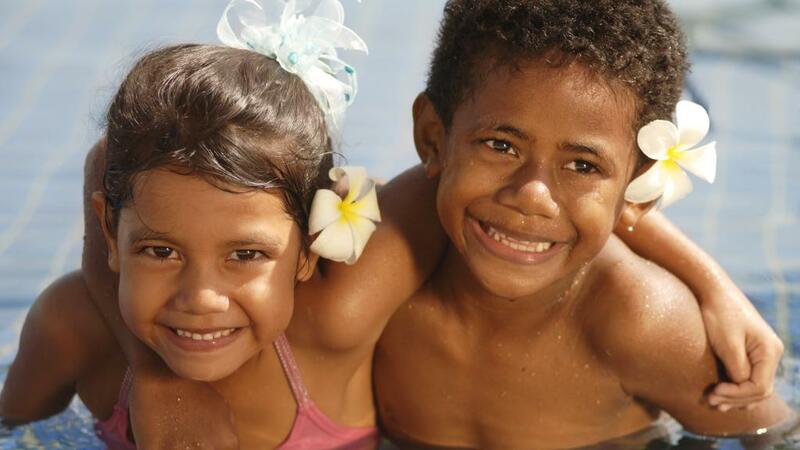 Before you slip into 'Fiji time', our handy visitor information offers all the facts on some of the most common questions our customers have when travelling to Fiji. Normal banking hours are from 9.30am to 3.00pm Monday to Thursday and to 4.00pm on Friday. All banks are closed on public holidays. ANZ operates a 24 hour service at Nadi International Airport's Arrival Concourse. Bank of Hawaii offers Automated Teller (ATM) services in Suva, Nadi, Lautoka. ANZ offers ATM services in Suva, Nausori, Nadi, Nadi Airport, Lautoka, and Labasa, while National Bank and Westpac offer EFTPOS services in Suva, Nausori, Sigatoka, Nadi, and Lautoka. The central bank and bank of issue is the Reserve Bank of Fiji, and The National Bank is a government owned commercial bank. In a word, Tropical, with the best months being March through to November. Maximum temperatures rarely move out of the 31°C to 26°C range all year round. As you can see, winter is a term, not a season. A cooling trade wind blows from the east south-east for most of the year. It usually drops to a whisper in the evening and picks up again by mid-morning. More info on Fiji weather. Please note: Some islands in the Mamanuca group may experience seaweed deposits on their beaches from time to time. The seaweed volume deposited on the beaches varies and is completely dependent on the weather conditions at the time (winds, currents and tides). The resorts make every effort to have any debris cleared as soon as possible. Most hotels have direct dialing facilities. For inbound calls, the international IDD country code for Fiji is 679 and there are no area codes. Outbound international calls from Fiji use a dial out code of 05 followed by the country code and telephone number for the number being dialled. Vodafone Fiji Ltd, a subsidiary of Telecom Fiji Ltd, operates a GSM digital mobile communications service. Visitors from many countries, and subscribing to various networks, can use their own GSM handsets in Fiji. Mobile customers are advised to check with their network operators for their roaming status before travelling, as roaming capability must be 'turned on' in your home country. Some areas do not have a reception but recently, during the making of the Tom Hanks' movie, Castaway, Steven Spielberg paid to have receivers put in the Mamanucas so the reception now for mobiles is quite extensive. International cards are welcomed by most hotels, restaurants, shops, car rental companies and tour operators.American Express, Diners Club, Visa, JCB International and Mastercard have representatives in Suva. American Express and Visa can replace lost credit cards and travellers cheques. 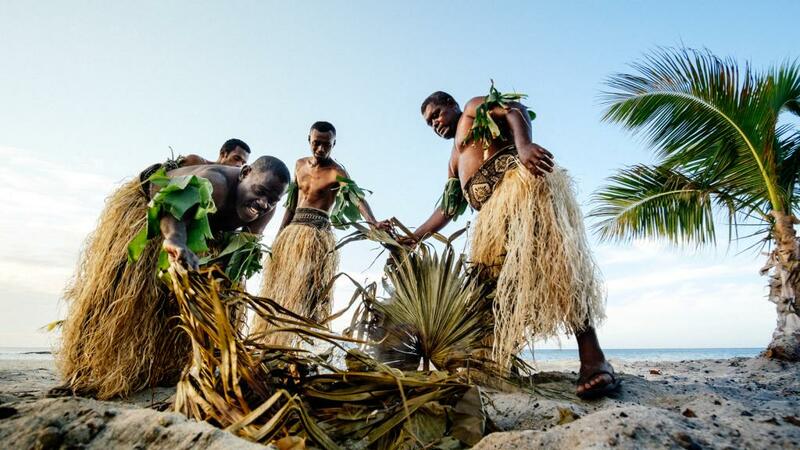 Fiji is a country rich in traditional culture and uses a native language that defines happiness. Their religious and cultural ceremonies are unlike any other that you may have experienced. Click here to find out more. The Fijian dollar has standard decimal denominations between 1.5 and $50. Anything below $2 is a coin and $2 and above is a note. There is no limit to the amount of money to be brought in and visitors are allowed to take out currency up to the amount imported. To check the current exchange rate, use our currency converter located at the top right of this page. Fiji has two international airports - Nadi, the principle gateway and Nausori, near Suva. Fiji Customs operates a Duel Channel System - the Red and Green Channels - for clearance of air travellers. Red Channel: If you have any prohibited or restricted goods, or dutiable goods exceeding your duty/VAT free allowance. Green Channel: If you do not have any prohibited, restricted or commercial goods, or dutiable goods exceeding your duty/VAT concessions. Note: Your baggage may be examined by Customs whether you take the Red or Green Channels. "Sulus" (known also throughout the Pacific as pareau, lavalava or sarong) are a must for both men and women. The wrap-around sulu is Fiji's most distinctive and versatile form of dress. For women there at least ten different ways it can be used, even for evening wear. Ask your resort staff for hints on tying and wearing your sulu. Visitors are asked to be careful not to offend local sensibilities. Wearing bikinis and ultra-brief swimming costumes is fine at a resort but not when visiting villages or shopping in town. This is where a sulu comes in handy. For information about driving and hiring a vehicle in Fiji please click here. The current in Fiji is 240 volts AC 50Hz with three-pin power points - the same as in Australia and New Zealand. Leading hotels and resorts offer universal outlets for 240v or 110v appliances, or 110V adapters. Many island resorts generate their own electricity, and sometimes when the generators kick in and out, the bedside digital clocks will reset back to 12.00. If you think you'll need a reliable timepiece to make connections etc, it may be wise to pack a travel alarm clock. Fiji is a land of blue-green lagoons, lush rainforests, pine forests, mountains and a 1000 miles of white, sandy beaches. There are 330 pieces of land big enough to be called islands scattered across 200,000 square miles of ocean, and several thousand others considered too small for human habitation. Of the 330 islands, Viti Levu and Vanua Levu make up 85% of the total land mass, and only just over 100 of the islands are actually inhabited. Click here for a Fiji Islands map. For more information on Fiji regions refer to our accommodation page. Please ensure your passport is valid for at least 6 months after your return to your country of origin. Most visitors who intend to stay for less than four months do not require a visa. It is a travellers responsibility to have all documentation in order prior to departure. Plants or parts of plants - live or dead, including seeds, bulbs, nuts and wooden articles. Earth, rock, soil or mineral samples. Animals or parts of animals - live or dead including coral, shells and goods made from protected wildlife. Equipment used with horses or other animals. Biological specimens or tissues - human or animal. Fiji is famous for its outstanding surf beaches including Typhoon Alley, Frigates Passage and Cloudbreak as well as plenty of just-discovered gems of the outlying reefs and islands. Most of Fiji's best surfing can be found off the Mamanuca Islands and the main island of Viti Levu. 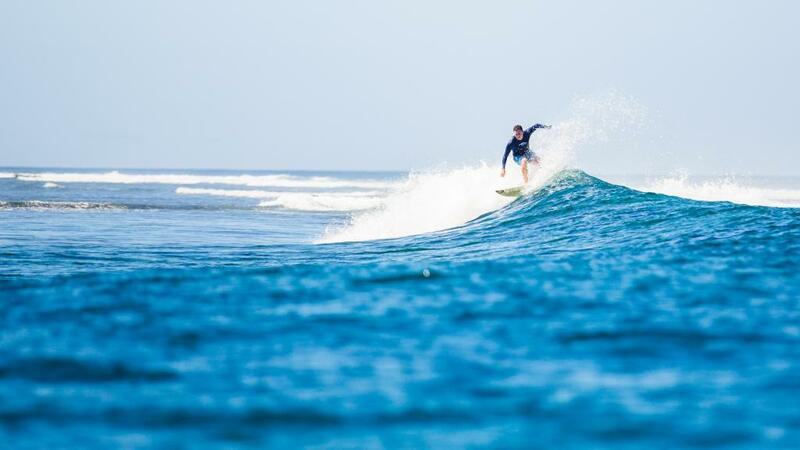 Although waters are generally calm thanks to the barrier reefs that surround and protect the islands, the surf breaks are an incredible display of the full power of the Pacific Ocean. We highly recommend comprehensive travel insurance for health and property. As they say, if you can't afford travel insurance, you can't afford to travel. Choose a policy also that suits your needs. For example, you may wish to cover a pre-existing health condition or you may want extra cover if you're planning on trying new sports like scuba diving or bungee jumping. Travel insurance is fairly inexpensive and guarantees a worry-free holiday. Visit our Travel Insurance site for more details. Legal requirements, all must be original documents. Couples under 21 years of age are required to produce a witnessed consent document signed by a parent. The citizens of the following countries do not require a marital Status letter; New Zealand, Australia, UK, USA and Canada. Citizens from all other countries need one. The Registrar Generals office of your country of residence provides the confirmatory letter and this is to confirm their current marital status -i.e. single/divorced/widowed. The above is to be presented at the registry office in Nadi, Lautoka or Suva to apply for the licence. Registration formalities take about 15 minutes. The licence is valid for 21 days. A photocopy of the required documents must be received by the Registry Office a minimum of 2 weeks prior to the marriage date. This may be done by fax or post. The original documents must be presented when you visit the Registry Office in person. The Registry Office is open Monday to Friday.